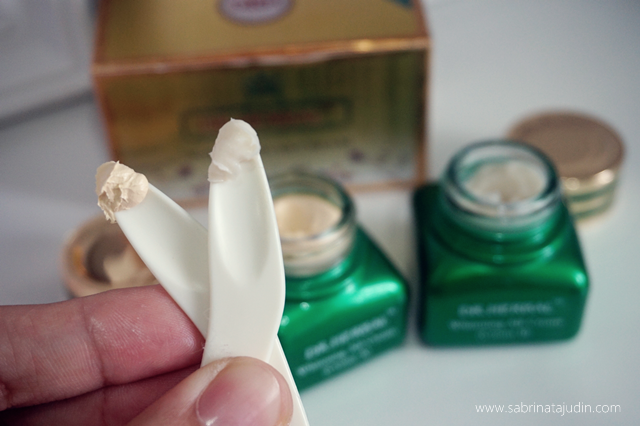 Exciting post for you if you have combination skin problem like me. 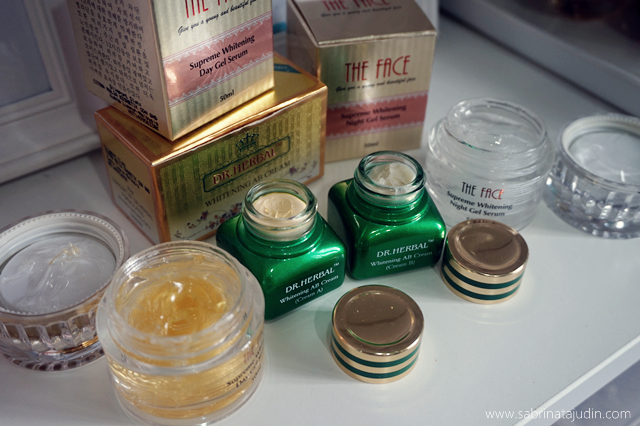 Today I will be reviewing you the skincare products that I used for the past week. Bonus! You will get to see how I use these products at the end of the post because I have done a video on it! Don't forget to watch okay! Citra Mulia Kosmetik Sdn Bhd is the Importer and Sole Distributor in Malaysia. You can find more products at their official website - http://citramulia.com.my/ . They offer products from skincare, lotions, hand lotion and many more beauty products. They are awarded with Good Manufacturing Practices For Cosmetic for their products. 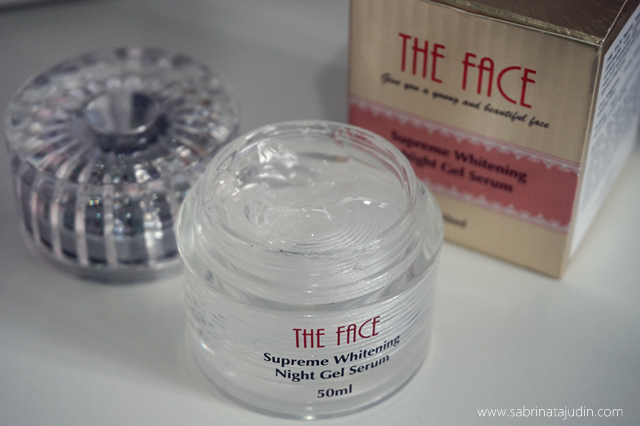 Both of THE FACE Supreme Whitening Day & Night has the same consistency only that the Day Gel has gold particles in it while the Night Gel has silver particles in it. These gel serum helps to brighten your skin as well as giving you this refreshing clean face throughout the day. It has anti-aging properties, brightening, hydration, smooth your skin as well as whitening effect as these gel serum has benefits to reduce the melanin in our skin that cause pigmentation. It’s also contains vitamin B5, antioxidants that protects your skin from harmful radicals. 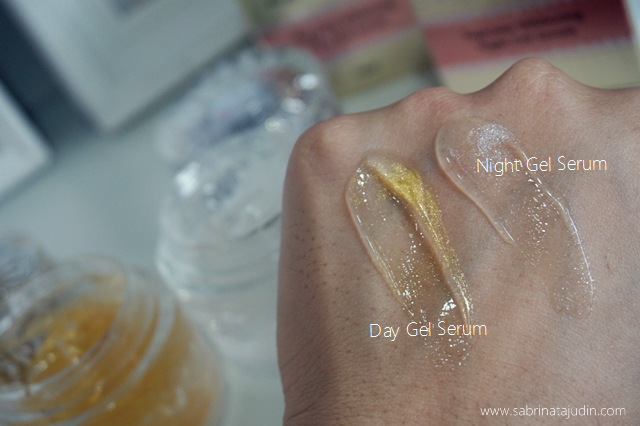 I use the Day Gel Serum during my morning skincare routine as the Night Gel Serum during the night. After cleansing my face, using my eye cream and sunscreen I use the Day Gel Serum. The gold particles in it helps give me this nice glow and healthy skin effect even when applying makeup on top of it. During the night, I use the Night Gel Serum after pat dry my face. 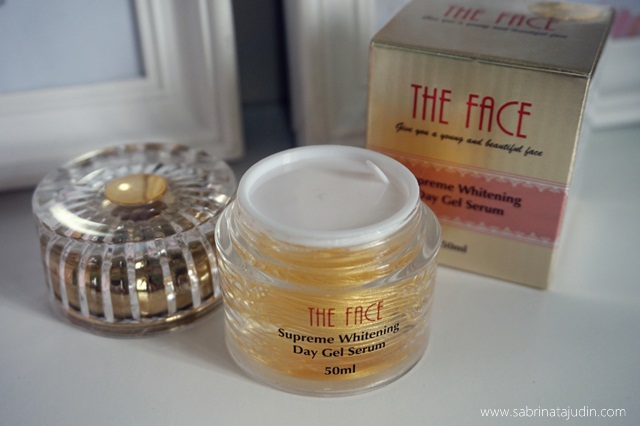 This Day Gel Serum is suitable to be worn under makeup. It has a gel like consistency that melts to my skin nicely. It does not leave my skin feels sticky or greasy. 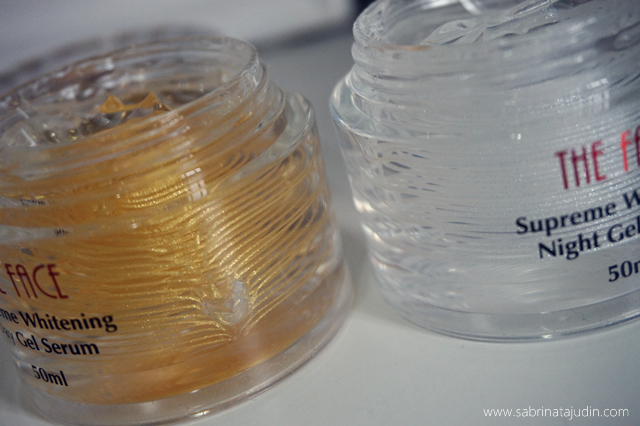 The fine gold particles makes my skin looks more radiant and my make-up becomes more nicer! I love this! This gel serum does not have any overpowering scents. I use this after using my eye cream and sunscreen. After cleansing my face, I straight away use this gel serum. It is not thick and it leaves my skin smooth when I woke up in the morning. it has the same texture as the Day Gel Serum but this one has a silver particles in it. It is moisturizing and easy to blend. 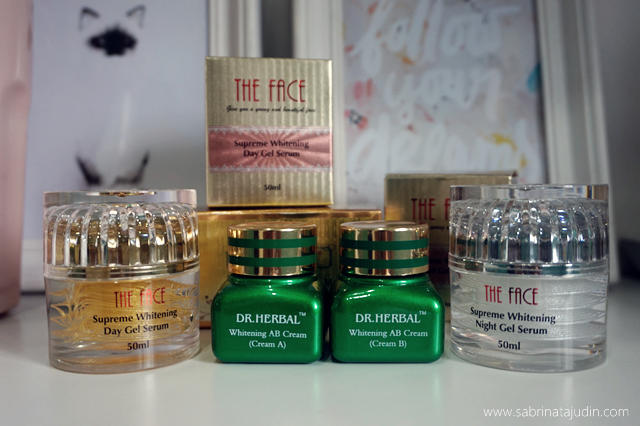 This is the DR. Herbal Whitening AB Cream that comes in 2 jar is one of a kind. Cream A is recommended to be use during the Day while cream B is for night time. 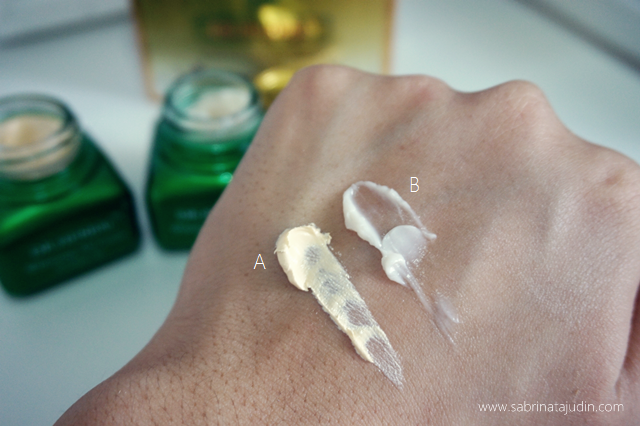 Cream A has a thicker tinted moisturizer kind of texture and it gives me a layer or color correcting. The Cream B has a sorbet kind of like texture that gives my skin feels smoother, I love how it leaves my skin feels velvety. Cream A has a slight tint to it so it is perfect to be use during the day and it will gives you a thin layer of color correcting. It is like a BB Cream to my opinion and it will gives you this glow and even skin tone. Perfect for daily wear. It comes with 2 spatula and it is super convenient and hygienic! 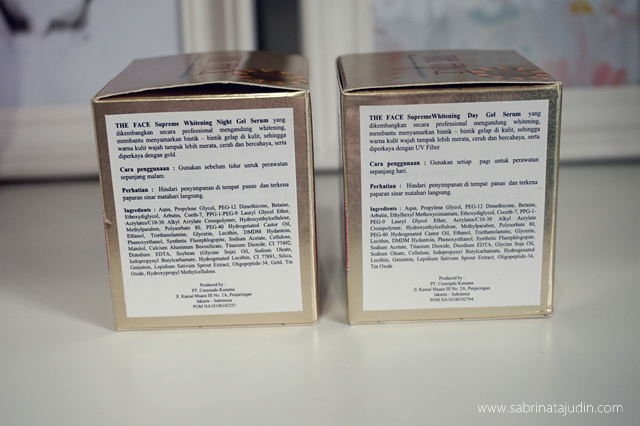 The DR. Herbal Whitening AB Cream is made 100% from Herbal ingredients. So you may notice a herbal-ly scent when using this product. But it is not too overpowering. It said that this cream is suitable to be use on any skin type. This cream target to enhance and fix up your dead skin cells. It also contains collagen to help make you skin smoother and firmer. **Disclaimer : This product were sent to me for product review. Leave a comment down below and let me know what you think! Honestly this is my first time heard this brand. The product seems interesting. Great review Sab! HUGGGS! wow... sangat2 beza.. the applying and not-applying part of the product..
harga dia okay la bagi sab. lebih kurang harga skincare kat luar sana even lebih kurang harga barang tempatan. dear.. bacakat atas tu okay :)))) semua info ada.. saya tak jual..
That GMP award is the only thing that makes me have a little trust in products like these.